Ventspils University College (VeA) manages the Smart Technology Research Center for four years and currently employs six staff, both young researchers and students from various faculties of vocational education and training. At the moment the Smart Technology Research Center has started with the implementation of four projects, two of the projects related to the development of medical technologies, Kurzeme television reports. "Young scientists are willing and willing to offer technological support to medical institutions, for example thanks to one of the developed projects, the physician has the possibility to combine several three-dimensional images into one whole, so that the specialist can identify the processes that occur in the body. better understanding of the patient. The developed program can already be used and applied, but doctors are not yet aware of this possibility, "said the storyline of the television. The Research Scientist at the Center for the Advancement of Well-Being Technology, Vairis Caune, recognizes to television that doctors need to be informed about what young scientists can do and help their careers as a research center with their expertise. As Kurzeme TV explains, the research center has also developed a project that can significantly reduce the doctor's work, for example by scanning the patient's leg in two minutes, the orthopaedist can carry out a thorough investigation and even perform remote diagnostics. The surgeon can use the program during an operation to have the ability to view a three-dimensional body image without the use of additional equipment. At this moment the research center has started a program that recognizes the smallest object movements. Leading researcher Gundars Bergmanis-Korta of the Center for Smart Technologies explains that the computer recognizes the object and indicates the probability that the event is recognizable. Such a program can also be used, for example, in smart urban infrastructures, where different vandalism events are recognized. 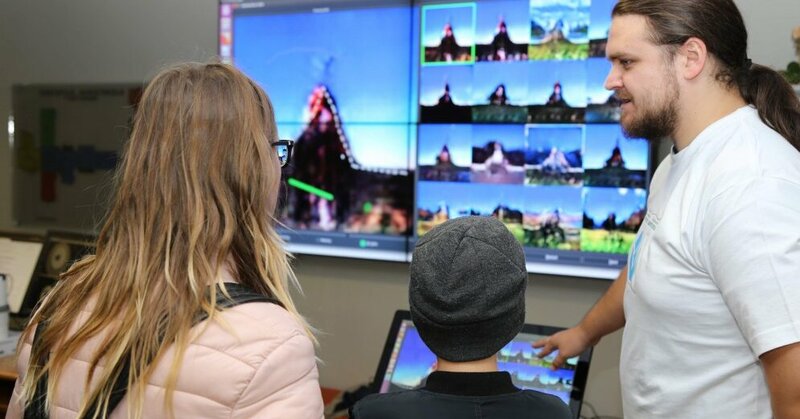 The specialists of the research center also want to broaden the student perspective with their work and projects and show that technologies that initially seem complicated, are in fact understandable for first-year students. For example, VeA students are involved in the work of the research center and in various projects.